Too many elders are left to care for themselves in their old age, often living alone in wretched and unsafe conditions. 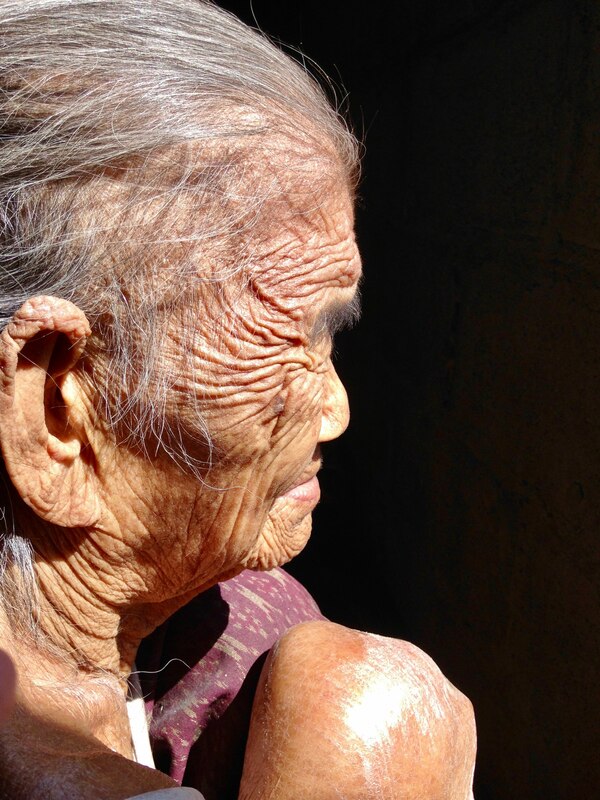 Many elders not only lack proper medical attention and care but also feel incredibly lonely. All people have the right to healthy aging, and in the end of life have a right to be treated with dignity and receive compassionate care. Mundo Exchange pushes for elders to be in a safe home that meets their basic needs for food, shelter, safety and companionship. Thailand has the highest growth rate of elders in East Asia and the Pacific and is expected to be #1 in elder population by 2040. 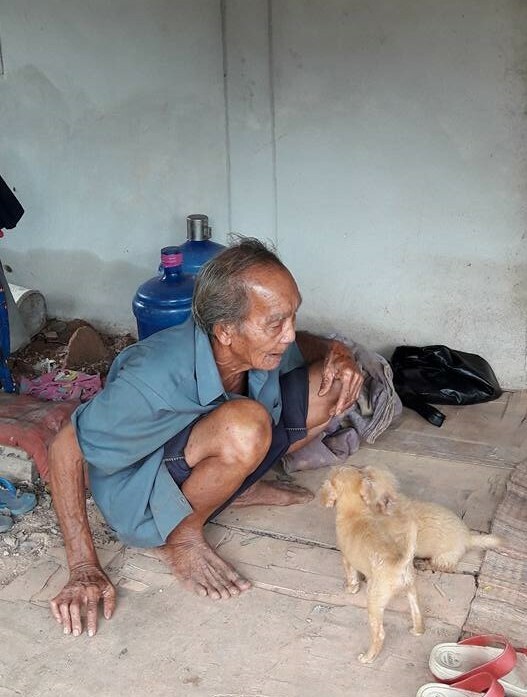 With little infrastructure already in place to care for them, elders in Northest Thailand are in a crisis. Despite being a highly collectivist society, many of the poor and marginalized elders live alone and in dismal conditions. Due to decisions made by their parents because of poverty and circumstances of the families’ past, many children grow up feeling alienated or abandoned and are unwilling to take care of their parent when she or he is aged and feeble. Unfortunately there are also some grown children who simply cannot afford to come back to their homeland, nor can they afford to bring their parents to live with them. Many elders in the Northeast live in hazardous homes with unsafe electrical wiring, no plumbing, and poor accessability. They are not getting enough to eat and cannot complete vital daily living tasks such as getting out of bed, going to the toilet, bathing and feeding themselves. In some cases Mundo has discovered elders living completely alone who cannot manage to walk or get out of bed, leaving them lying in one place and completely reliant on someone to come help them. 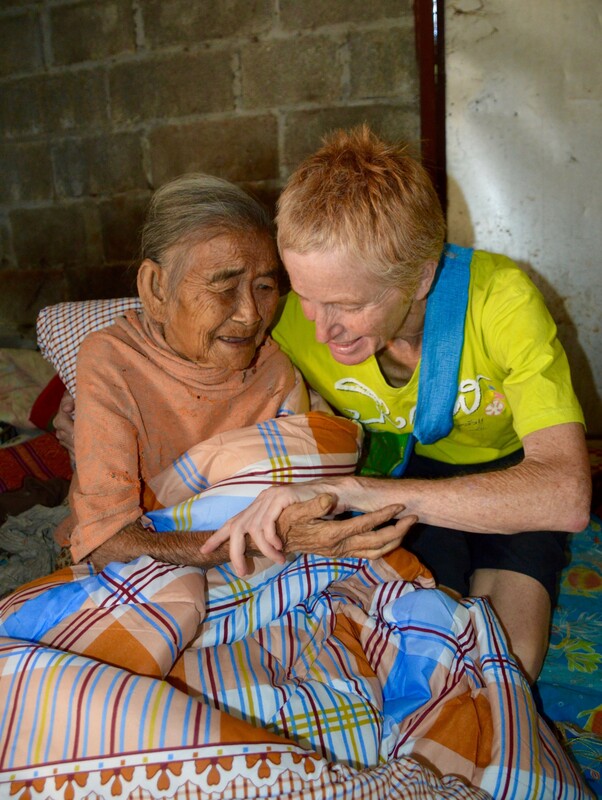 Mundo Exchange and our local partners work to make life a bit safer and happier for the extremely poor and marginalized elders in the Northeast. The average age we work with is 90+ years old. These seniors have spent a lifetime giving to the community and are now alone. We both befriend and assist these forgotten rural elders who lack family and income. We accompany local health and social service workers to visit them. 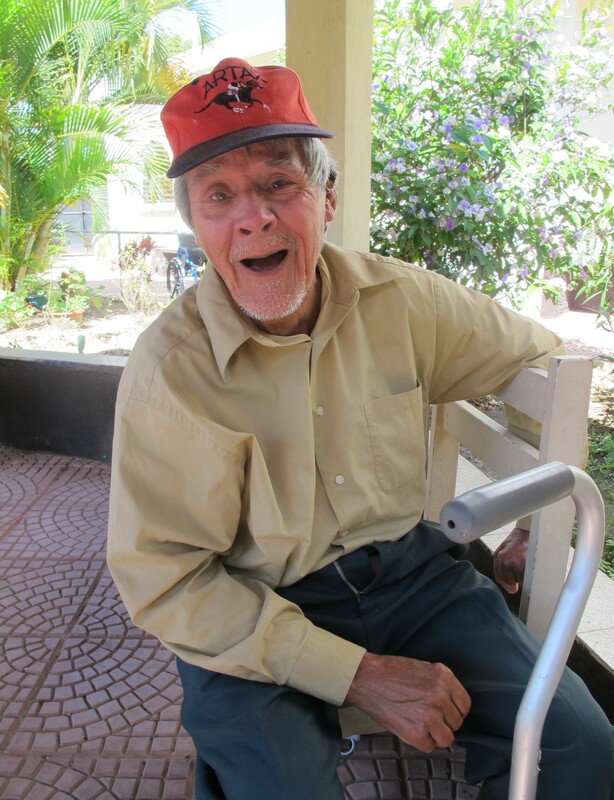 We care for these seniors by providing for them necessities such as fans for the heat, bedding and blankets for the cold, hot water makers, food, clean drinking water, and much needed clothing. In addition, we ensure that the elder has both an accessible toilet and safe electric wiring in their home. Despite the language barrier we address the psychological and emotional need for companionship with a friendly smile, a listening ear, a back rub and constant visits. 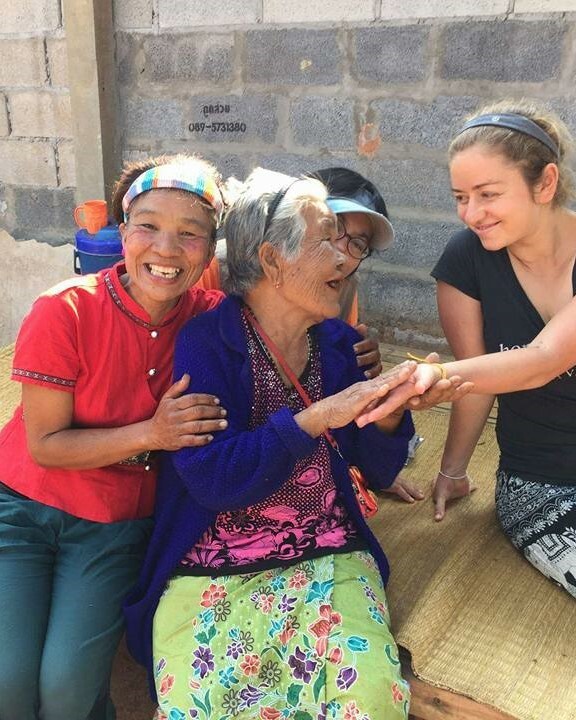 Many of these elders feel completely abandoned by their community, and simply being present and compassionate helps them feel connected and important. Our goal is to help at least 10 elders a year. Together we can improve an elder’s feeling of self worth and health by providing for necessities and companionship. A fun way to support what we do is by “adopting” a senior member of the community in which we work and helping us change the course of their final days and months. Thai elders receive a monthly government stipend of about $15 USD to pay for accomodation, food, bills, transportation to and from hospitals, and medicine. Too many elders rely on this stipend as their sole income and it is not even close to enough money to cover their needs. As a result there are elders not receiving necessary care and medicine. For example, some elders have access to vital medication only once a month instead of weekly as prescribed by a doctor because they cannot afford the transportation costs in and out of their village to the nearest pharmacy. 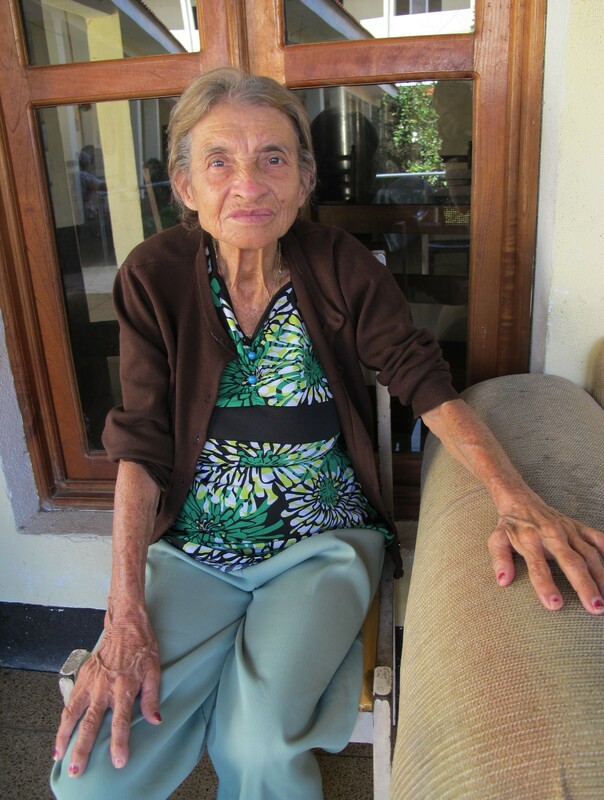 International donors have been helping Mundo Exchange provide for these senior members. You can join us in making an immediate difference in someones life. A monthly donation of $25 or an annual donation of $300 will cover most of an elder’s expenses. You can make such a difference in their lives by providing transportation, medication and other necessities.